Whilst there have been improvements in health services and systems in the region, rural populations still have difficulty accessing basic health services. In Guatemala, it is estimated that basic health and nutrition services meet only 54% of the needs of the rural population (World Bank, Universal Healthcare on the rise in Latin America. 2013). Similarly, in Honduras, 88.3% of the total population receives care from the Ministry of Health. However, the majority of health services are located in the most developed cities, not easily accessible for rural and indigenous populations (Pan American Health Organization, Health Systems Profile: Honduras, in Monitoring and Analyzing Health Systems Change/Reform. 2009). In terms of surgery, the WFSA’s analysis of the global anaesthesia workforce found that Guatemala has only 1.9 anaesthesia providers per 100,000, El Salvador 2.71, Honduras 2.23, and Nicaragua 4.11 (World Federation of Societies of Anaesthesiologists (WFSA). World Anaesthesiology Workforce map. 2017. https://www.wfsahq.org/workforce-map). This compares to over 20 anaesthesia providers per 100,000 in Europe and the United States. What these numbers mean on the ground are hundreds of thousands of people in Central America lacking access to safe surgical treatment, with patients facing significantly higher risks compared to those in North America or Europe. 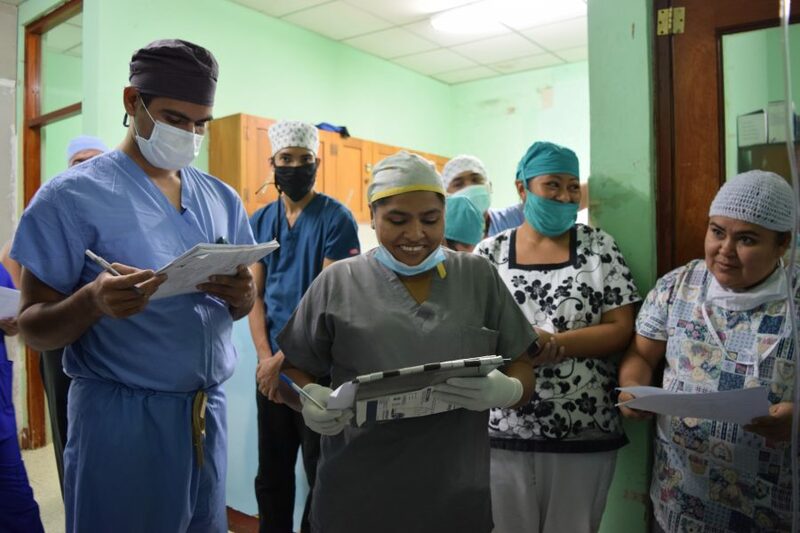 Surgical teams in these Central American countries must work at maximum capacity under the most challenging conditions, facing the devastating impact losses of patient deaths that they know to be avoidable with the right equipment and environment.